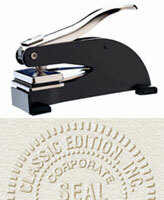 A custom embosser or stationery embosser offers an elegant look when used on envelopes and visiting cards. 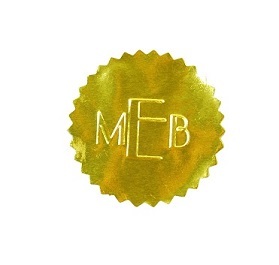 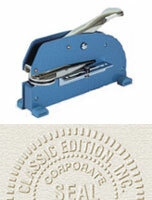 Custom Stationery and Basic Round Embossers can be ordered directly from the website. 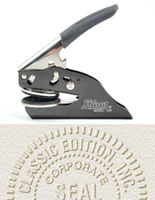 If you need a more complicated embosser with a company logo, or other artwork, please email your logo, or call us at 1-800-234-0893 with any questions. 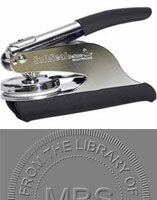 Additional charges apply to embosser orders with special artwork. 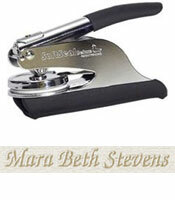 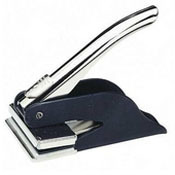 We specialize in difficult custom embossers that many other stamp companies do not like to handle.